These days I find myself out the house for nearly 12 hours a day, so making sure I can keep my general wellbeing shipshape, can get a bit challenging. With this in mind, I’ve entered a whole new world of portable wellbeing products – stuff that’s easy and lightweight to carry around that will keep me on track with my healthy lifestyle when I’m out and about. Here’s what’s on the wishlist, and what will be filling my online shopping basket this payday. Something I mentioned back in in my May favourites, but still a total portable saviour. These little pots of goodness are handbag size, so dead easy to use on the go. You can literally use these for anything; as a cuticle cleanser, in place of a hand cream or melt a tiny bit in your afternoon coffee. Multi-purpose products for the win. I’ve already used up my first little pot that came in a Life Box at the beginning of the year, so I’ll definitely be repurchasing soon. Yes, a water bottle but what a water bottle. I’ve been coveting these for about the last year and finally have this in my basket on the Selfridges site, so I’ll be hitting that buy button as soon as payday hits. I’ve been quite dehydrated recently so this will make carrying water around with me that bit more snaz. All hail the Bounce Ball. Now I have to admit, I do try and make my own when I can but sometimes there just ain’t no time. At the moment, I’m loving the Cacao Mint protein bombs – totally satisfies that afternoon chocolate craving without any of the nasties. I can’t wait to stock up on a whole range of these to stash in my handbag – especially the new Cacao Orange bomb. Christmas in a protein ball. These sachets are the ONE. I urge you to buy them! They’re so easy to throw in your bag and chow down on pre-workout if you haven’t had time to prep a proper snack. Now I have to admit, I mainly eat mine from the sachet, which probably sounds a bit rank, but is immensely satisfying. I can’t wait for payday so I can stock up on my favourite Pip & Nut’s squeeze packs (that Coconut Almond butter though) and one my all time favourites from Protein Pick and Mix, Barney Butter. 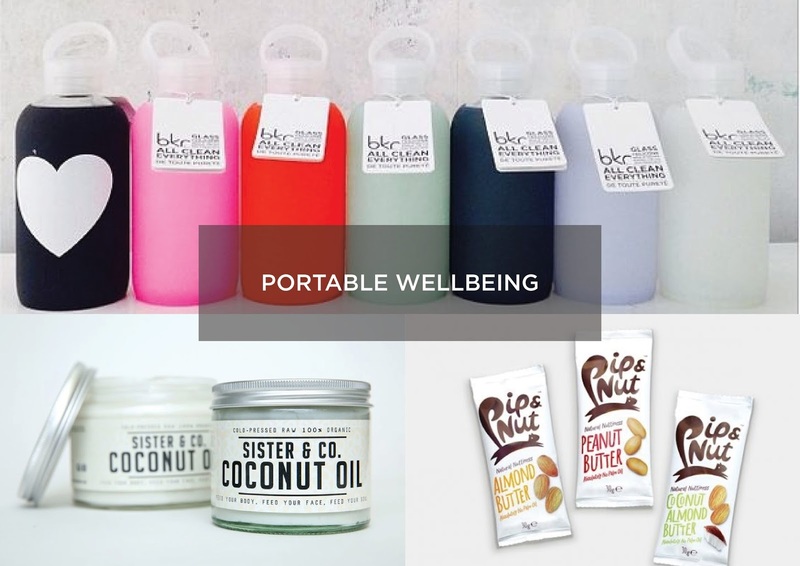 What are your essential wellbeing on-the-go items?